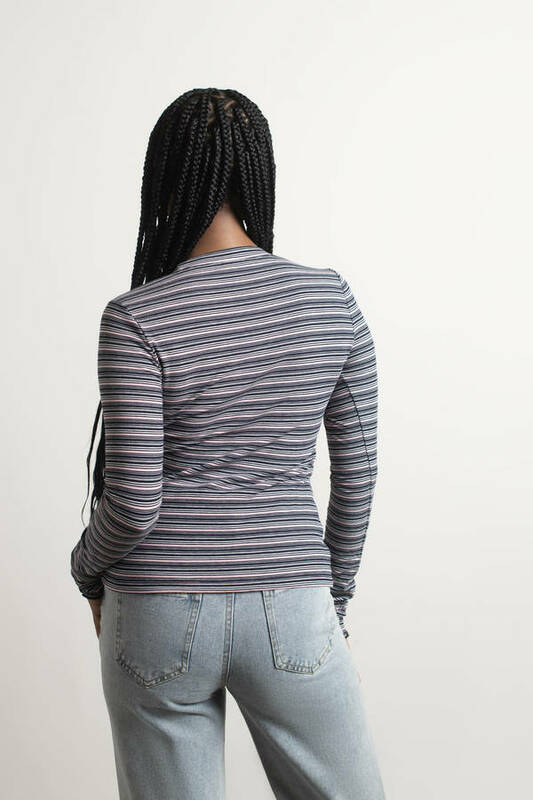 Check out Tobi's Tasha Rib Knit Stripe Long Sleeve Top Retro stripes and everything nice. You gotta get the Tasha White Multi Striped Long Sleeve Top. 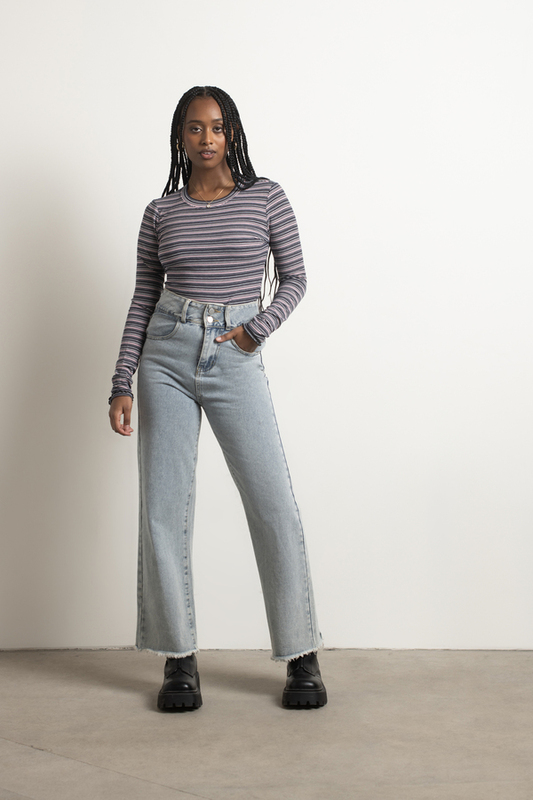 This tight long sleeve knit top features vintage-inspired stripe print and a crew neckline. 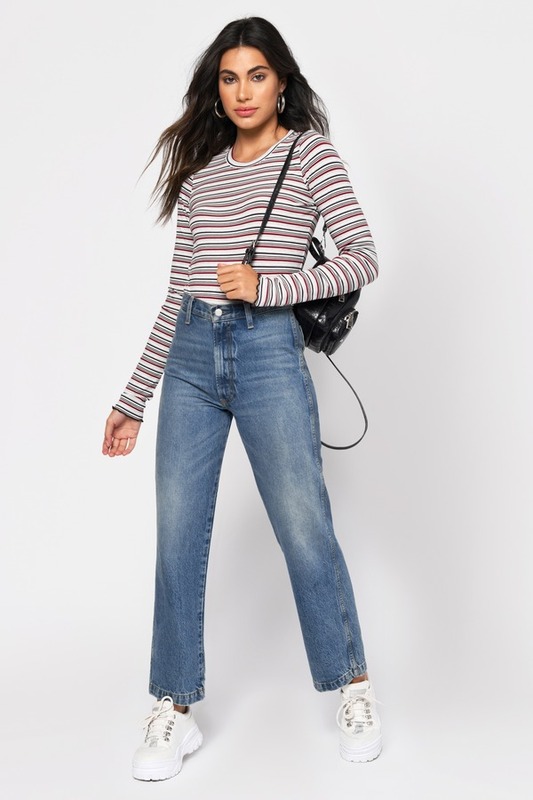 Wear this striped top tucked in with mom jeans and you're a retro queen. Retro stripes and everything nice. 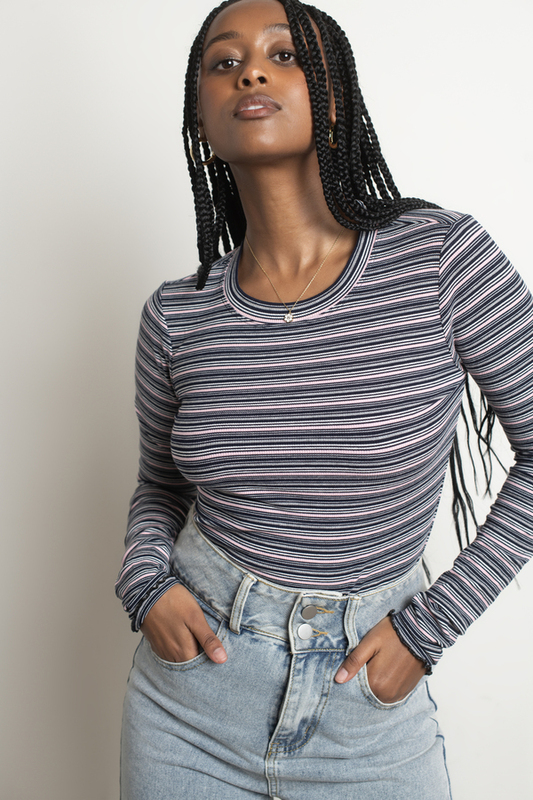 You gotta get the Tasha Navy Multi Striped Long Sleeve Top. 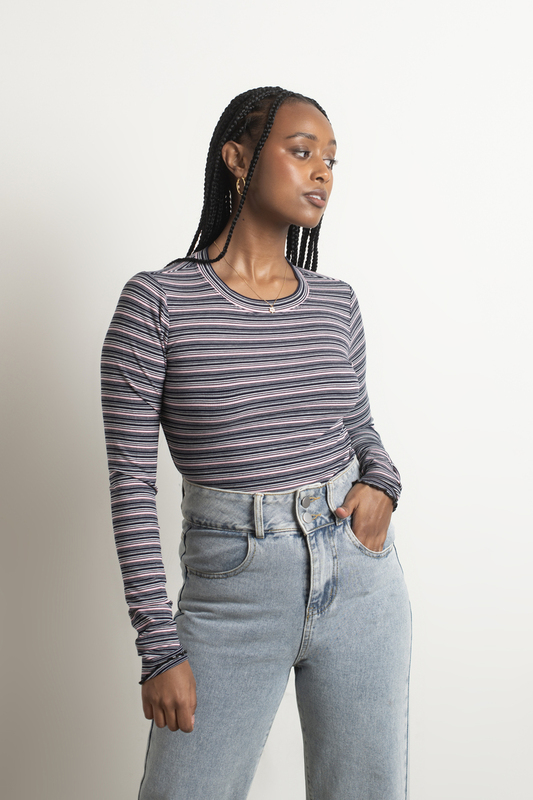 This tight long sleeve knit top features vintage-inspired stripe print and a crew neckline. 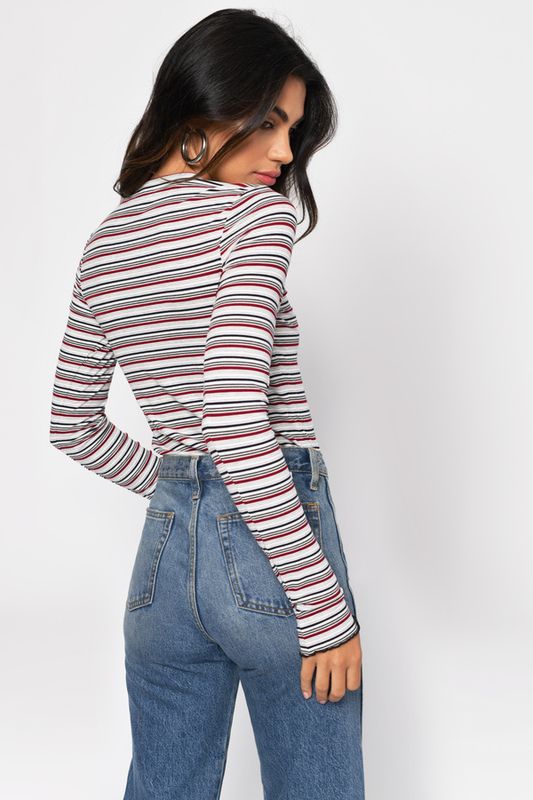 Wear this striped top tucked in with mom jeans and you're a retro queen. Retro stripes and everything nice. You gotta get the Tasha White Multi Striped Long Sleeve Top. This tight long sleeve knit top features vintage-inspired stripe print and a crew neckline. 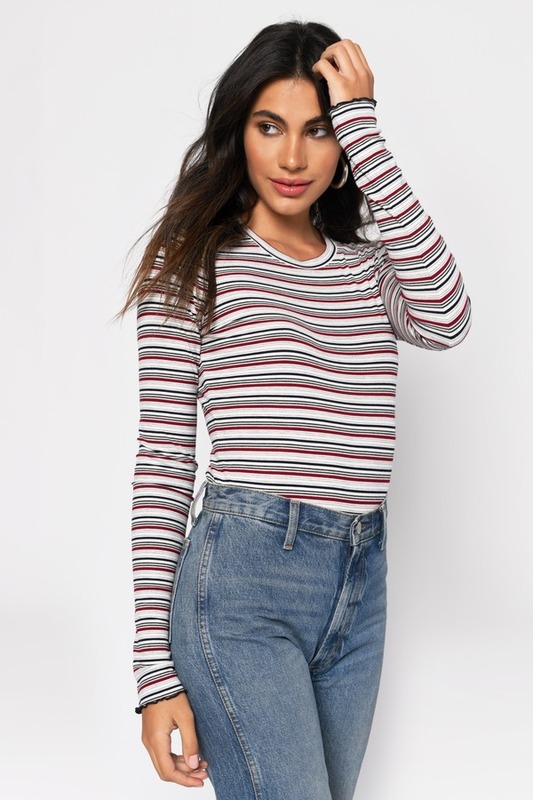 Wear this striped top tucked in with mom jeans and you're a retro queen. Navy Multi, White Multi modeled on a size Small.